The cheekbones are an essential part of facial balance, defining the palpebral area and design the limit of the cheeks and nose. A high, full, and rounded cheekbone creates the appearance of health and youth, and optimises the eye area. 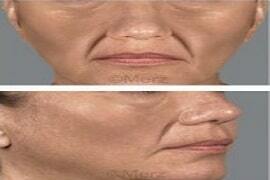 A flat, drooping cheekbone area creates the impression of age and fatigue. Well defined cheekbones are more photogenic, as celebrities know well. A full, rounded cheekbone helps to prevent the fall of cutaneous tissue and faces with full, rounded cheekbones age less, and more slowly. The ideal cheekbone should be neither too high nor too low, but centred on the upper jaw. 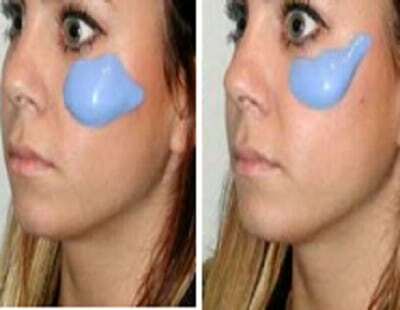 It should follow a soft curve which goes from the nose to the zygomatic arcade. The high cheekbones start at the temples, narrowing down and curving near the orbit. This type of cheekbone is often present on elongated and oval faces. 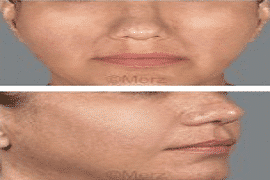 This type of cheekbone is often present on round faces, but can be found on any type of face. 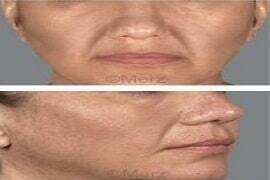 The low cheekbones start near the corners of the mouth and gently rise to the lobes of the ears. This type of cheekbone is often present on triangular, square and round faces. This type of cheekbone is centered on the malar bone, when smiling the cheekbone may appear as a kind of ball. This is the most difficult cheekbone to treat when aging the face. 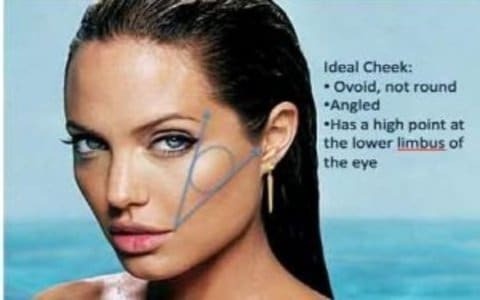 This type of cheekbone is often present on oval, elongated, round and heart-shaped faces. The wide cheekbones are a mixture between the high and central cheekbones. This type of cheekbone is often present on square and round faces and on top models. 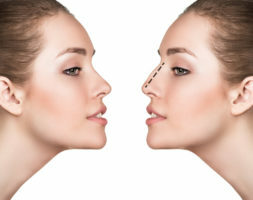 With time, the cheekbone flattens due to the ptosis (dropping) of the malar fat and bone re-absorption around the upper jaw. 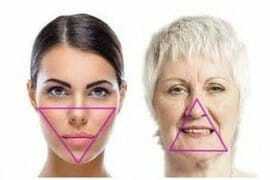 In youth, the face can be seen as triangle, where the base is centred on the cheekbones, but with age, the ptosis of the fat, and re-absorption of the bone causes this triangle to turn upside down. The injection of hyaluronic acid aims to volumise the cheekbone, without excessively filling it. The result must stay natural. 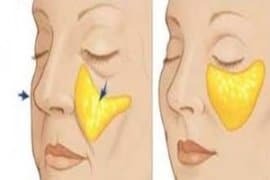 There is also a second advantage to this treatment, as filling the malar region helps to lift the soft, underlying tissues, notably helping to improve nose-chin furrows and the jowls, and smoothing the tear trough area by eliminating bags. – Only the malar zone to lift and define the cheekbone. 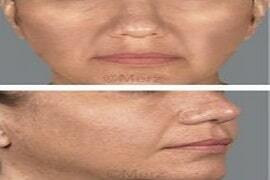 – The malar and overlying region to further lift the cheek as well as defining the side of the cheekbone. Injection is administered by cannula or by needle in contact with the bone, some small amounts can be placed in the sub-cutaneous layer. The quantity and type of product used are chosen according to your face. The product is often a Restylane Perlane thicker, volumising product, but sometimes I choose a thinner, less reticulated product like Restylane. The product will stay in place for a year and a half, and up to two years. I wanted to mark out my cheekbones that weren’t very visible, I’m delighted with the result. Thanks again. Doctor Romano knew how to gain my trust thanks to her clear explanations and astute work. I had a real problem with my drooping cheekbones. 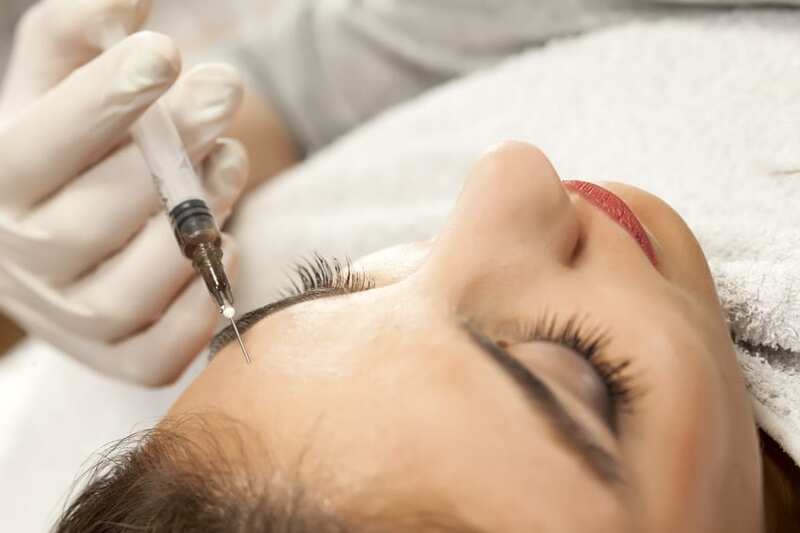 The result of her injections is very natural and too beautiful. Thanks Doctor. It’s my first time going to Doctor Romano’s. She’s attentive and knows what each person needs. My cheekbones were flat, now they are curved and feminine. The result is truly amazing. Doctor Romano is by far the best, the results are too beautiful and natural. My cheekbones are magnificent thanks to her. She’s precise and serious. I recommended her to all my friends and they’re always hyper satisfied! Hyaluronic Acid 350€ each syringe.